But how would he know? Is there really a way for vehicle owners to gauge the emissions from the vehicle that they are buying? Well, it seems there is, but hardly anyone knows about it! Tax invoice, warranty papers, insurance copy, tool kit and delivery challan — these constitute the basic initial checklist of documents to be obtained upon purchase for any customer who buys a vehicle, but did you know that the dealer should also provide every buyer a certain form, Form 22, which contains a detailed account of emissions from the vehicle? This has to be shared with the buyer even before the purchase is final. It has been close to two years since the Ministry of Road Transport & Highways amended Form 22 under the Central Motor Vehicles Act, 1989, in October 2016. Form 22 is one among the 19 forms that a vehicle manufacturer submits to the dealer. Prior to the amendment, the dealer would have to submit these forms to the Regional Transport Offices and the respective pollution control board for checks, after which the dealer himself would be the form’s custodian. The customer would sign on the form before taking the vehicle home. The new law, however, mandates the dealer to provide Form 22 to the customer, to help him/her decide on the vehicle, based on its emissions performance. According to the amended law, form 22 should have the initial certificate of compliance with pollution standards (including the breakup of vehicular emissions such as Carbon monoxide and Hydrocarbons), safety standards and road worthiness certificate (issued by RTO after checking the vehicle). The customer is to be particularly sensitized to these while deciding on the vehicle. Manufacturers of all kinds of motor vehicles, on their part, must give detailed declaration about the emission levels of any vehicle they have manufactured post April 2017, according to the amended law. Earlier, Form 22 only certified that the vehicle in question complied with the provisions of the Motor Vehicles Act and rules there under, including the relevant emission norms – Bharat Stage I/II/III etc. The amended rules applies to all vehicles run on petrol, CNG, LPG, electric, diesel and hybrid, including agricultural and construction vehicles, as well as e-rickshaws and e-carts. Brand, chassis number, engine number (motor number, in case of battery operated vehicles) and emission norms – Bharat Stage – IV / VI /Bharat (Trem) Stage-III/III etc of the vehicle. Each pollutant including carbon monoxide, hydrocarbon, non-methane HC, NOx, HC + NOx, PM etc for petrol and diesel vehicles, and also sound level for horn and pass by noise values. 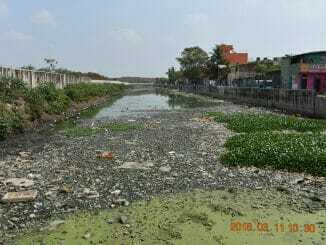 Why should Chennai take notice? Contrary to the common notions that have created a false sense of complacency among many of us, pollution in Chennai is far from acceptable limits. The city ranks second among metropolitan cities in the country in overall emissions and energy consumption, according to a study by the Centre for Science and Environment. “The sea is a blessing for Chennai as the land sea breeze mitigates pollutants in the air to a large extent, even though pollution levels in the city are now almost at par with those in Delhi,” points out Polash Mukerjee, Senior Research Associate, Clean Air and Sustainable Mobility, Centre for Science and Environment (CSE). Emissions from our vehicles are among the greatest contributors to the city’s air pollution. “Chennai has a lot of diesel trucks, due to the presence of industries and the port,” says Polash. “The city requires at least 38 continuous air monitoring stations to statistically, spatially, and temporally, represent the mix of sources and range of pollution in the city (current status – 11 manual and 3 continuous),” stated the findings of a research undertaken by knowledge repository Urban Emissions. 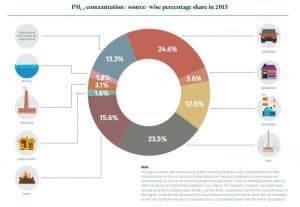 The same research (2015) found that transport emissions contributed the most (close to 25%) to the concentration of PM 2.5 in Chennai air. 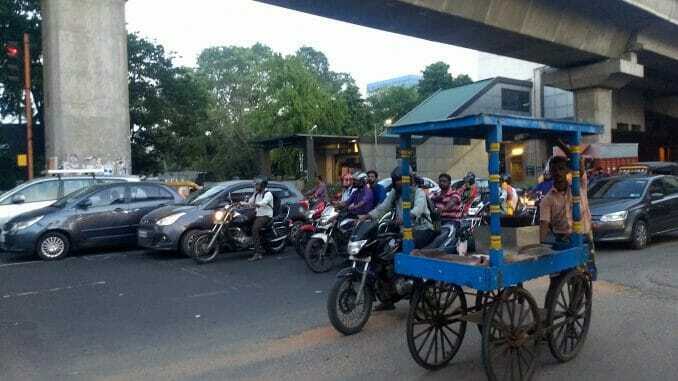 Indeed, the 426 sq km area that is Chennai had 4.4 million vehicles on its roads as of 2016, that accounts 36.45 lakh two wheelers, 3 lakh app-based cabs and thousands of autos, share autos, public and private buses, according to data available from various sources in the public domain. While the explosive vehicular growth and resulting pollution is largely attributable to the absence of last mile connectivity and a well-integrated public transport system, even small steps by citizens can go a long way in creating a difference. If conscious citizens were to base their purchase decisions on the emissions performance of the vehicle in question, there would be a perceptible qualitative change in the total amount of emissions-related pollution. Unfortunately, however, even though the amended law was to be implemented from April 1, 2017, a reality check reveals otherwise. An environmental organisation, Alliance for an Energy Efficient Economy (AEEE) conducted a research called Green Vehicle Rating, with 20 vehicle models under the two wheeler segment and two models under the three wheeler segment. 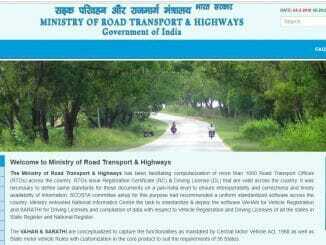 Form 22 and fuel economy of the vehicles obtained in the public domain were taken into consideration for the research. While Honda CP Shine SP ranked first, emitting the least amount of pollutants, Royal Enfield Classic 350 emerged as the highest emitter. The method behind the green vehicle rating and the results of the vehicles can be viewed here. At least ten vehicle owners in Chennai, whom we spoke to, admitted not having received Form 22. “Customers must be educated about the form, so that we can ask to see it before we decide,” says Karthik. Navya Kumar, a food researcher who purchased a 150cc Vespa also blames her ignorance, for not checking on the emissions. “Though Vespa is not among the ones rated, it is clear from the findings of the research that high-end vehicles with big engine capacity would emit enormous amount of greenhouse gases, contributing to global warming. I would have gone for a 125cc vehicle, if I was aware of the concept,” rues Navya. Vehicle dealers themselves do not seem to know that the forms are to be issued to the customer. “Manufacturers send Form 22 to us, then we submit it to the Tamil Nadu Pollution Control Board and Regional Transport Office, who verify the pollutant emissions and safety standards mentioned in the form respectively. We were never asked to give these forms to the customers,” said A Chinna, showroom manager of Jain Suzuki in Chrompet. Clearly, therefore, there is a lack of awareness on the availability and benefits of Form 22 amongst consumers, who are in fact the intended beneficiaries. “Although the emissions information is provided on Form 22, the data is not sufficiently straightforward for them to understand the ‘severity of risks’ from exposure to pollutants and how to account for these risks while making their purchase decisions. It usually is in the possession of the dealers,” admits Shyamasis Das, Principal Research Associate – Power Utility & Electric Mobility, Alliance for an Energy Efficient Economy (AEEE). …but also the individual who makes a greener choice. It is a widely known fact that environmental pollution often takes a toll on public health. Pulmonologists agree almost unanimously that cases of asthma and lung diseases are on the rise in Chennai. “People with asthma and chronic obstructive pulmonary diseases, when exposed to pollution on the roads face recurrent exacerbation. Children are the worst affected, as they immediately develop respiratory infections,” says Dr N Murugan, consultant pulmonologist. Two-wheeler riders in particular are extremely susceptible to vehicular pollution and now they have a concrete tool in their own hands to reduce the extent of that pollution by opting for one with a higher green rating. Even other vehicle owners can take a look at Form 22 to study the break-up of pollutants generated by alternative cars and make an informed choice. The day when environmental performance ranks above the mileage and size of the vehicle in the buyer’s mind is the day that we might begin to see significant changes in air pollution in the city. 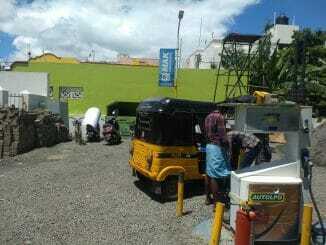 What is stopping Chennai autos from taking the LPG route? Vehicular pollution is a critical problem in Chennai and yet more than 25000 auto-rickshaws continue to ply on diesel and petrol. Why are auto drivers unwilling to switch over to LPG, despite enjoying assurance of subsidies under government policy? With warnings of a water-scarce, severe summer, threats from air and sound pollution, and holes in safety infrastructure, headlines this week do not contain much cause for cheer. A quick look at some news.